Hello, my name is Jill Young, I live in Northern Ireland, and I am asking for YOUR help to send my daughter to Russia for the treatment she desperately needs, HSCT (Haematopoietic Stem Cell Transplant). Imagine, if you are able, what it would be like to awaken one morning and not be able to move, or what it would be like to experience the sight in one of your eyes disappear in a matter of minutes. And how would you cope, as a young woman, if your bowel no longer worked and you were required to use an irrigation system to empty your bowels or needed to catheterise yourself to empty your bladder? 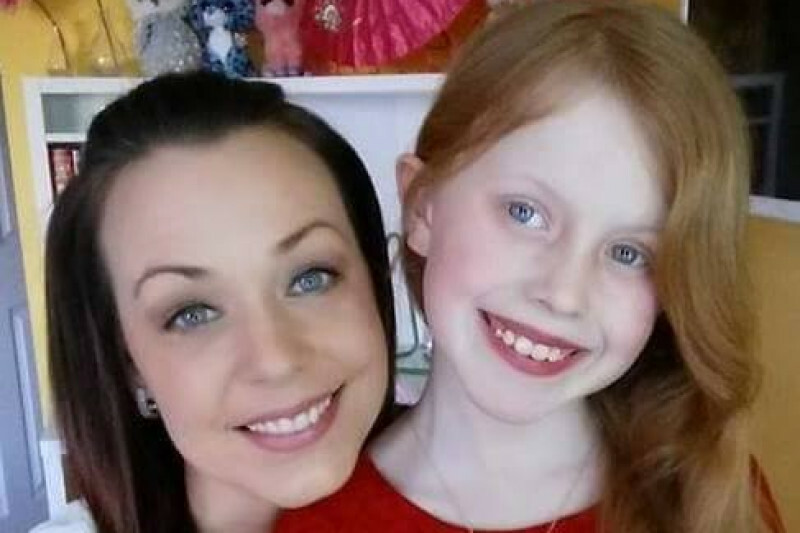 Combine this with unrelenting fatigue, chronic nerve pain, vertigo, widespread numbness and a variety of other symptoms and you will begin to get just a glimpse of what it is like to live with MS.
My daughter Lindsay, pictured above with one of her children, has lived with Rapidly Evolving, Severe Relapsing Remitting Multiple Sclerosis for many years. Thankfully, the paralysis and the blindness were temporary and she has, up to now, always regained her mobility and her sight, although not without residual damage to her optic nerve. Each relapse leaves some lasting damage. From her late teens she sought a diagnosis for what appeared to be bowel/digestive problems and chronic fatigue. Although shunted back and forth between consultants no one was able to offer any explanation for her problems. After the birth of her first child she experienced further deterioration, but still no one could come up with a diagnosis. It was only after the birth of her second child, pictured above, and when her symptoms became much more pronounced, that she, herself, began to consider MS as a possible cause. Eventually, at the age of 29, in December 2011, after brain scans and a lumbar puncture, a definitive diagnosis of MS was made. She was advised not to have any further children as, after a pregnancy, a major relapse frequently occurs. 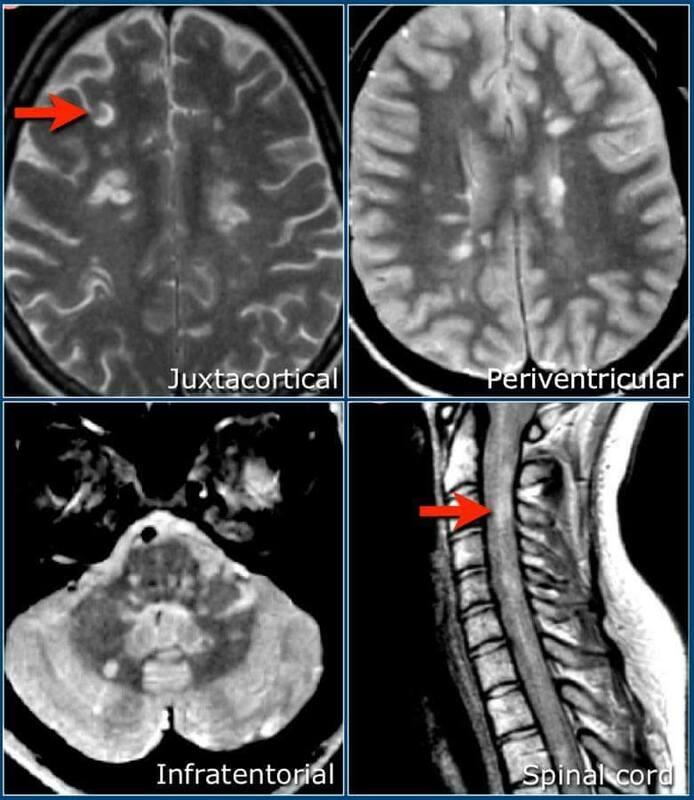 Scans showing the type of lesions typically found after an MS Relapse. Lindsay immediately started disease modifying drugs in the form of self-administered injections. These drugs were not expected to cure the disease, there is no cure, but it was hoped that they would reduce the frequency of the relapses. Unfortunately this was not the case and Lindsay continued to have frequent relapses all of which have left some lasting damage. Another treatment, Tysabri, only used for highly active MS was then prescribed but yet again, there was no significant improvement and the relapses continued. 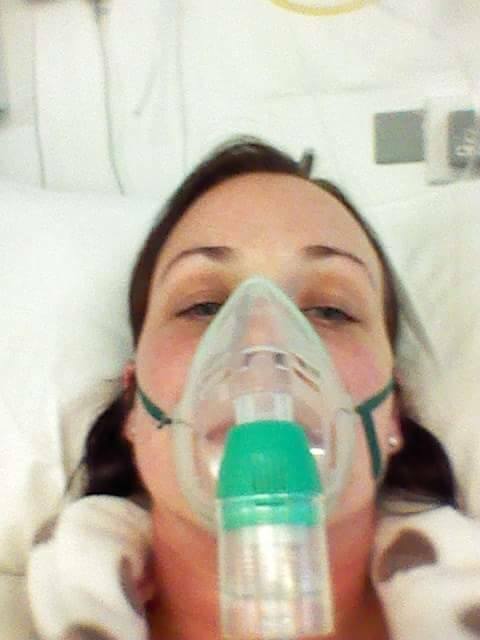 Lindsay then took a bad reaction to the Tysabri and was left with lung damage as a result. The next, and only option left, was to have Lemtrada, which is a form of chemotherapy, normally administered for blood cancers. She has had it twice, the first time in 2015 and then again in 2016. 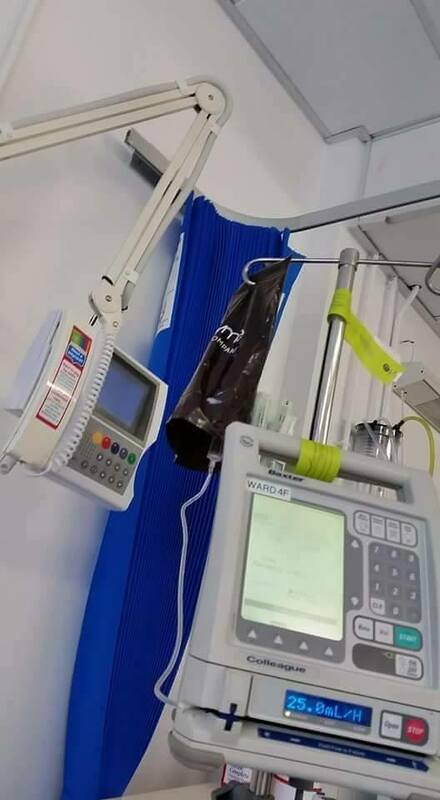 Yet again it failed to halt the relentless relapses and she, once again, ended up in hospital, this time having to use a walking aid as her mobility was severely affected. The Lemtrada treatment has also caused her to develop Graves' Disease (hyperthyroidism), so she will be requiring treatment for that also. Lindsay’s quality of life is poor and it is not just her that lives with the consequences of this illness. Her children miss out on spending time with her as she is in bed most nights before 7pm, sometimes as early as 4pm. Her husband is a marvellous support and gladly steps in to take over the housework and childcare the moment he returns from work but obviously, this is not how they imagined their life, as a family, would be. To live with such uncertainty about the future is a tremendous strain on them all as there is no way to predict when, or how, the next relapse will present itself and what new disabilities will result. Any day could be the day that Lindsay becomes wheelchair bound, loses her ability to swallow or her sight. Currently Lindsay is awaiting surgery on her bowel and may need to have a colostomy bag fitted. (Since initially writing this page Lindsay has been told that she will defintely be facing surgery to fit a stoma bag). Many people think that the symptoms of MS are visible; this is not always the case! 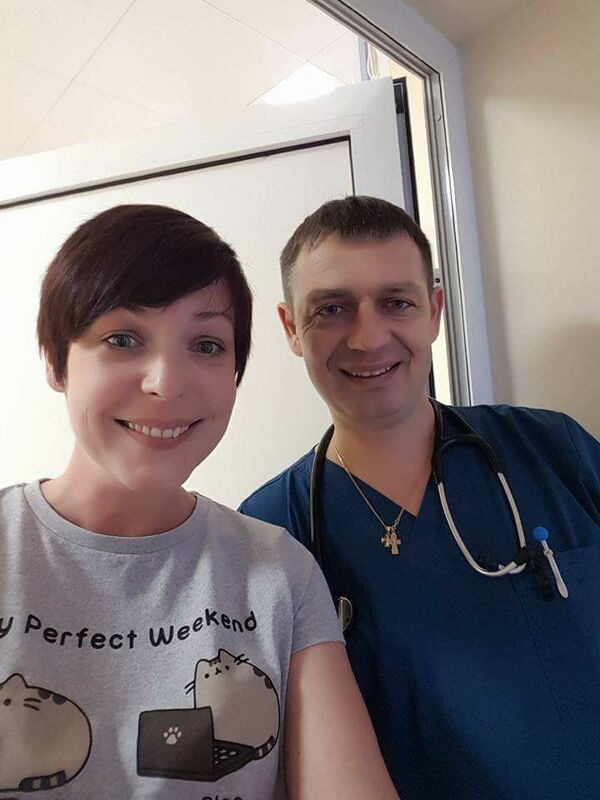 Having exhausted all options for treatments available through the NHS in the UK, Lindsay has applied, with the backing of her MS care team, to go to the National Pirogov Medical Surgical Centre in Moscow, Russia to receive this groundbreaking stem cell transplant. The cost of the treatment is approximately £35,000 - £45,000 depending on the length of hospitalisation required. There is, of course, also the cost of flights and visa, accommodation after treatment (until permission to travel is granted) and other incidental expenses. The treatment is aggressive and not without risks and involves being in Russia for up to two months, much of the time is spent in isolation. 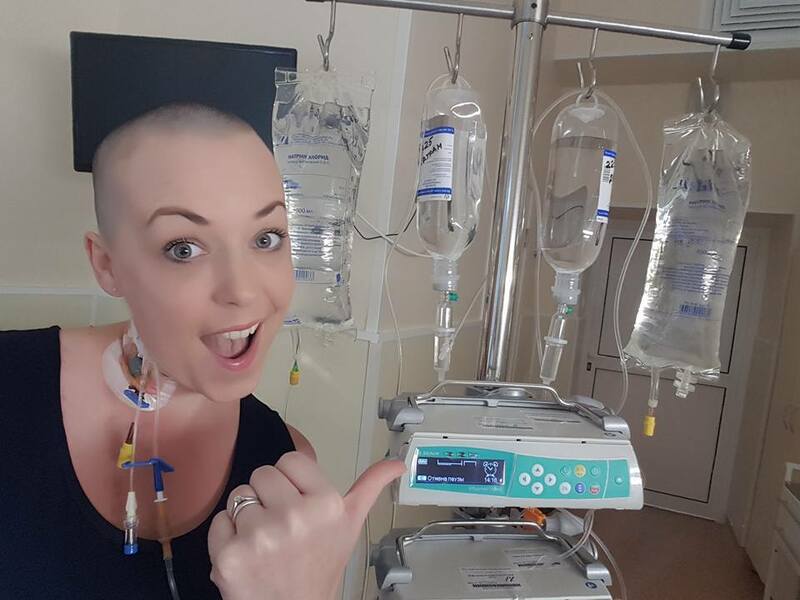 Lindsay hopes that the transplant will halt the relapses that have been relentless for so many years and give her back a much better quality of life. Please help by making a donation and give this young family the chance of some good quality time together. Your help will be greatly appreciated. GOFUNDME only takes debit or credit card payments but if you wish to donate via PayPal you can do so through this link paypal.me/lindsayslasthopeHSCT We can then manually add your donation to this page and it will be added to the total. What is Relapsing Remitting MS? If you would like to learn more about the transplant you can follow these links. There is a long wait to receive the transplant in Russia; approx one year. Many things could change in that time period, it may be that Lindsay will be accepted for private treatment in the UK and the money will be used for treatment here instead (at the moment she does not fit the UK criteria and it is much more expensive). In the event that part of the money donated is not required it will be passed on to others who are seeking to have this, or similar, treatments. This update is long overdue and, for that, I apologise. Where to begin? The last couple of months seem to have passed in a bit of a blur. I know most people are following Lindsay's progress on her Facebook page but for those of you who are not on Facebook and have subscribed to email updates, this may be news to you. Very briefly, Lindsay was bumped way up the waiting list and was offered a place for her transplant in August. She only had 6 weeks notice to get organised with visa, flights etc and go! She has been to Russia, she has had her transplant, which went very smoothly, and is now home again with her family. The treatment and care that she received from Dr Fedorenka and his team at the Maximov Hosptial was excellent, we have all been very impressed with the standard of the facility. We are very much aware that this has been an answer to prayer. Lindsay's MRI in Moscow showed 18 lesions on her brain and an old one at C4 on her spine. It also showed an active 3cm lesion on her spine going from T1-T3. This is very large and in the words of Dr Fedorenko, she "could have been in a wheelchair by Christmas". In other words, Lindsay could not have been there at a more crucial time. She now faces a long and arduous road to recovery but, with the support of her family, friends, and ever growing number of supporters she will get through the difficult months ahead. The fund raising continues and we are constantly amazed by the kindness of people, many of whom are complete strangers. The current total raised, as I write this update is £43,786. We never would have believed, 3 months ago that this would have been achieved so quickly and we want to sincerely thank everyone who has made this possible. However, as time has progressed we have come to realise that our target of £50,000 is not sufficient to cover the cost of the aftercare that Lindsay will need. Lindsay will require MRI scans to be carried out at very specific intervals and there is no hope of accessing these on the NHS, they will have to be paid for privately. She is also required to consult privately with a hematologist. There will be other incidental expenses involved over the next year or so. All of this, combined with changes in exchange rates, flights that cost much more than expected etc has caused us to reassess the situation. We now feel that realistically there will be approx another £7,000 required. We believe that is achievable and there are already several fundraising activities planned for later in the year. Please continue to pray for Lindsay and show your support in any way you can. Much love to you all and thank you again for all your kindness. Today, 1st June 2017, Lindsay was in hospital for further investigations regarding her anticipated bowel surgery. Unfortunately, it has been confirmed that she will require a stoma bag to be fitted. This is a major blow for her, but I know she will rise above it with her usual determination. It has also made us all the more determined to achieve our goal and get her to Russia for Stem Cell Treatment. Thank you to everyone who has donated so far. We are all delighted with the response and the support that we have been shown from all across the world! Lindsay received her written confirmation today, from the hospital in Russia, to say that she has been placed on the waiting list! One, more step towards the goal! Leicester NHS destroyed my MRI notes and told me that they will never ever help me . SAD . Best wishes to you. I have fought MS for nearly 50 years NO MS meds ever thankfully .